So I saw this on google. 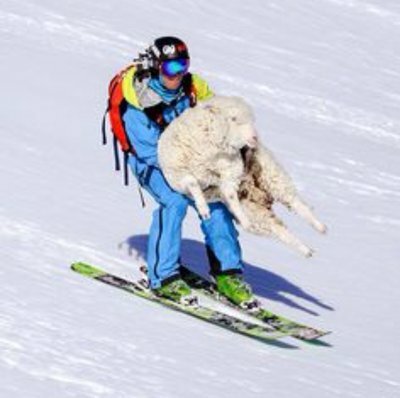 Does anyone know why there’s a guy going down a mountain with a sheep? Don’t question it, it is amazing and necessary.